This is so nourishing and warming and it’s so simple. 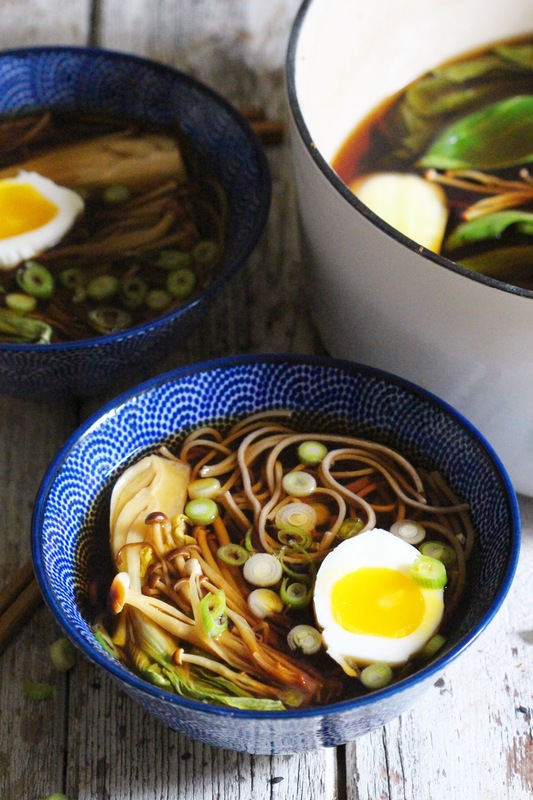 Soba noodles have always been a favourite of mine, I actually usually have them cold but a craving for this sort of comforting hot broth inspired me to change it up. This is the perfect dish when you want something clean and light but don’t want to give up on comfort. You can add in extras but this minimalist combo is just perfect. Add the water and tamari to a large pot on medium heat. Very finely mince the garlic and add it in. Peel the ginger and cut it into a few slices and add it to the pot. Bring it to a simmer and let it simmer for about 10 minutes. Add the miso to a small bowl and cover it with some of the broth. Whisk it well until dissolved and then pour the mixture back into the pot. Boil another pot of water to the boil and then add in your soba and cook to the packet instructions (approx. 5 minutes), then drain and set aside. If using eggs, boil them now too for about 9 minutes. Slice your mushrooms depending on their size and quarter the pak choi. Add them to the soy broth and simmer for a few more minutes until tender. 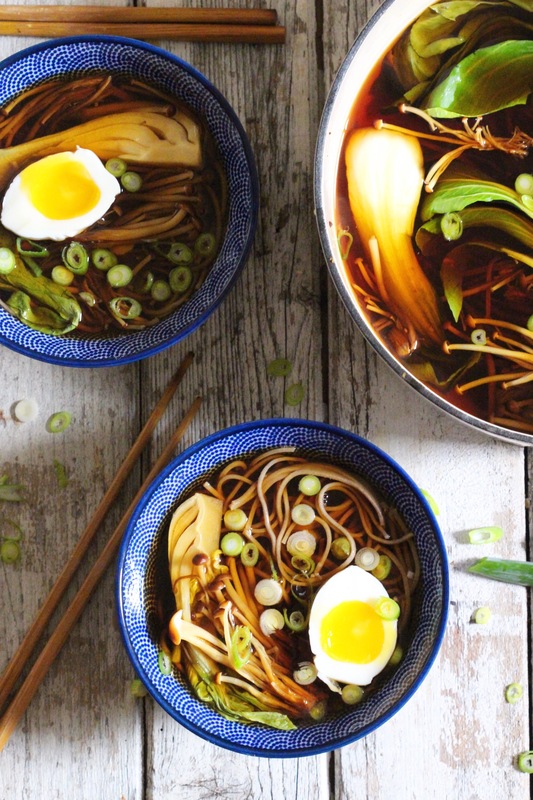 Add the soba to your serving bowls and pour the hot broth on top. Sprinkle chopped spring onions on top and add in your egg before serving.